2018 Black Douglas Jade Wonder Imperial. Picture credits - Black Douglas. Submit more pictures. This sweet looking Sterling is the entry level of our �Imperial� line. Its full Seafoam Blue finish is elegant and �sporty� at the same time. The logo is manually silk-screened onto to the tank in Monarch Orange and the pinstriping is hand painted in a combination of Amber Ale and Monarch Orange both on the coachwork and the mudguards. The leather is our limited edition �Cherokee� finish. Comments: Retrobike made in Italy. Ask questions Join the 18 Black Douglas Jade Wonder Imperial discussion group or the general Black Douglas discussion group. 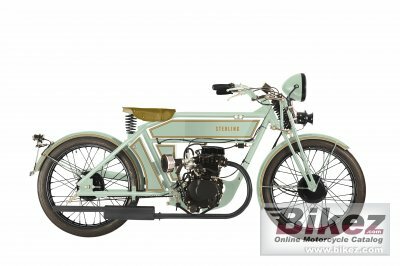 Get a list of related motorbikes before you buy this Black Douglas. Inspect technical data. Look at photos. Read the riders' comments at the bike's discussion group. And check out the bike's reliability, repair costs, etc. Show any 2018 Black Douglas Jade Wonder Imperial for sale on our Bikez.biz Motorcycle Classifieds. You can also sign up for e-mail notification when such bikes are advertised in the future. And advertise your old MC for sale. Our efficient ads are free. You are also welcome to read and submit motorcycle reviews.